The Martin Yale 1611 Ease-of-Use Paper Folding Machine saves time and money. The Martin Yale 1611 Ease-of-Use Paper Folding Machine is an easy to use high speed folding machine. All you've to do is place the paper to be folded in the stack, and the 1611 AutoFolder folding machine automatically feeds and folds them. It can fold up to 150 sheets, sized 8 1/2" x 14". 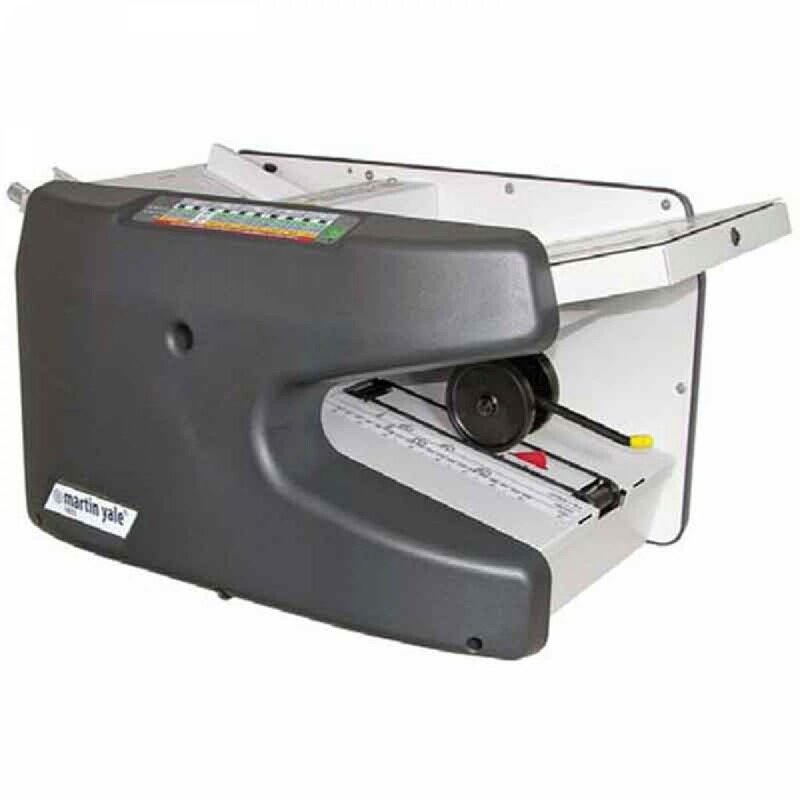 The1611 AutoFolder folding machine has a speed of 9000 sheets per hour, and can fold in 5 different types. 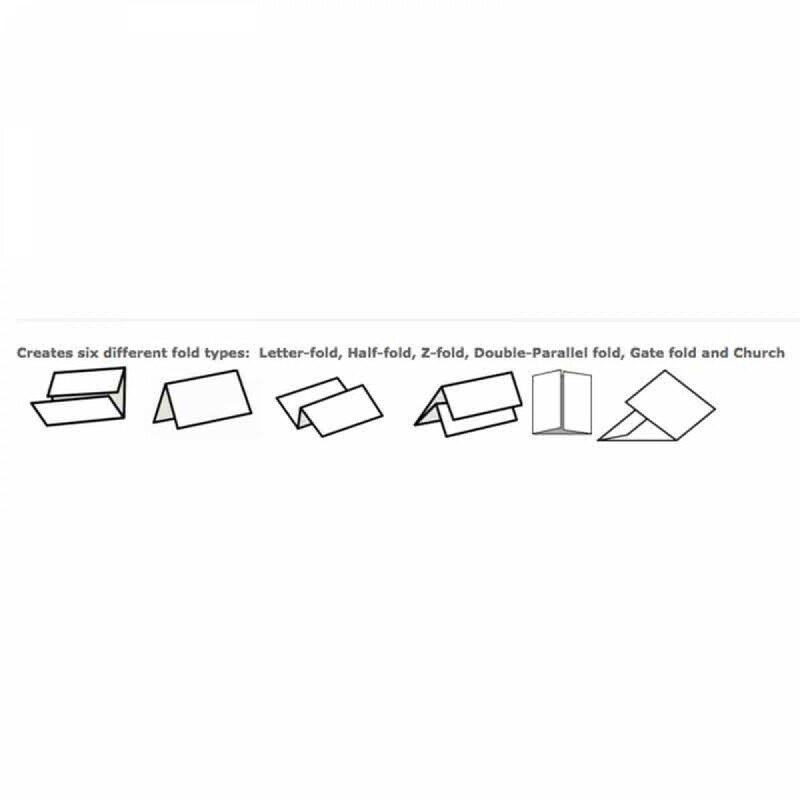 These types are letter, half, z-fold, double parallel, and church. Its features include improved feed system, easy access conveyor, easy access to rollers, removable fold tables, improved stacking wheels, and self centering paper guides. TheAuto jam detect feature helps in case of paper jam and auto shut-off saves energy; reducing your bill. The Martin Yale 1611 AutoFolder is perfect for large mail rooms and offices where ease of use is important. Comes with removable fold trays. Creates five different folds: letter, half, z-fold, double parallel and Church.